At last, Vegan Christmas treats that won’t land you on the naughty list in the shape of these yummy No Bake Almond Snow Balls. Best of all, you only need five ingredients and they take just 30 minutes to make. 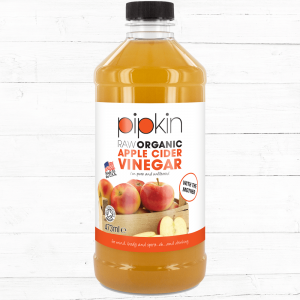 So get ready to deck the halls (and your taste buds), as you crank up the Christmas music and start a new Pipkins Christmas tradition from our kitchen to yours. 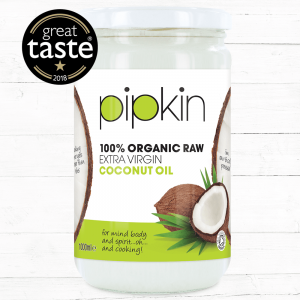 We used Pipkin’s Great Taste Awards winning product, the 100% Organic Coconut Flour, to enhance the taste with a delicious coconut flavour. 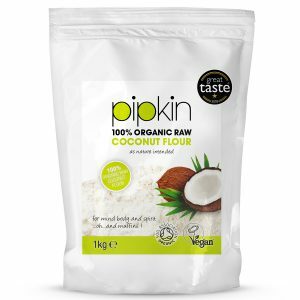 Packed with fibre and protein, it’s an organic, gluten-free alternative to other flours, plus, has many health benefits. 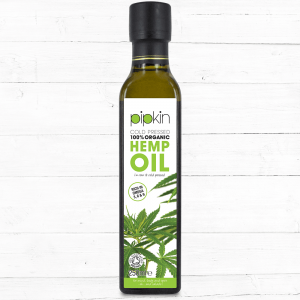 From maintaining a healthy blood sugar level to aiding in metabolism, it\’s the ideal product to promote a healthy lifestyle. Using a large bowl, add the almond butter, coconut flour, and maple syrup. Mix well until combined. Scoop out the batter and roll into balls with hands to form 1-inch thick balls. Place spread out on a baking sheet or plate covered in parchment paper. Place in freezer. Heat the white chocolate chips in a bowl for just under a minute. Stir with a spoon until it is lump free. Take almond balls out of freezer and use a fork to dip each one into the melted chocolate, spreading evenly all around. Place back onto parchment paper. Once all have been covered, roll them in coconut flakes as desired. Place back into the freezer for at least 15 minutes. Feel like giving these tasty Vegan Christmas treats a go yourself? 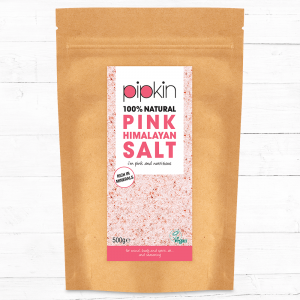 We would love to see pictures of your No Bake Almond Snow Balls and any feedback on our official Pipkin Instagram account. Enjoy!